Join us for a gourmet dinner at Domaine in Chicago's charming Roscoe Village! Every First Friday we are offering a dinner series where our dynamic, Michelin Star-experienced team at Brix Catering & Events curates a seasonal menu that is sure to leave a lasting impression. First Fridays is served family style with beverages available by the glass, or can be upgraded to wine pairings by our in-house Sommelier. Domaine Gallery is a collaboration between founder Zachary Greatting and his cousin Kailin Haydon, who recently finished her MFA in photography at Columbia College. As Kailin was finishing the final project for her degree, she started looking for a space to display some of her prints while having a celebration with family and friends. 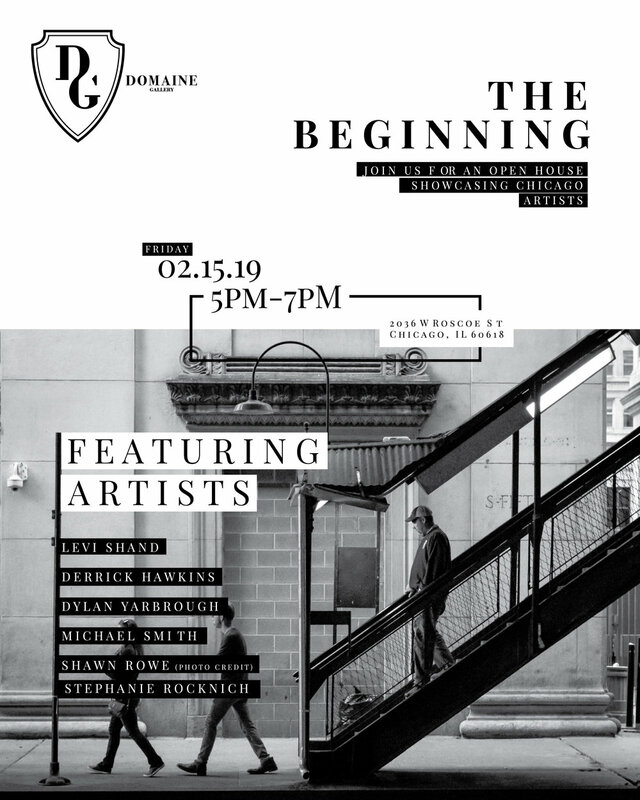 The Domaine Event space in Roscoe Village was the perfect choice and with that, after the art instillation was complete, Domaine Gallery was born! Sharing local artists with our clients and the community is something we are excited to be a part of. Not only will it bring meaningful art and culture to our event space, but it will also offer the opportunity for more people to experience Roscoe Village. We are proud to have a partner like Kailin to bring this project together with team Brix. We hope to see you all this Friday for the opening of Domaine Gallery! Don't let the polar vortex stop you from spoiling your valentine this year! Instead of the hassle and cost of a busy Chicago restaurant, cozy up inside and set the table with a 3-course gourmet meal this Valentine's Day. Order the Brix Catering Valentine's Day Box between now and February 12, 2019 with pickup either in the West Loop or Roscoe Village on February 14, 2019 to enjoy a fully prepped gourmet dinner for two, bottle of wine and easy reheating instructions priced at $75 per couple. Pickup locations conveniently located at Brix Catering's event venues: Evoke at 113 N. May St (West Loop) and Domaine at 2036 W Roscoe St (Roscoe Village). Whether it’s your office celebration or a small dinner for friends and family, let us do the cooking, so you can focus on celebrating! Check out our holiday menu, available for corporate catering, and box-packaged dinners for pick up with reheating instructions. Order yours today! This one is gonna be fun!! Join us for a Winter Olympic Celebration! Great food, drinks, games, and it benefits charity!!! Hope to see you there in your best Winter Games Attire.